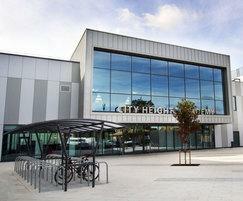 The City Heights E-ACT Academy shares a site with Fenstanton Primary School, and is situated in Lambeth in London. 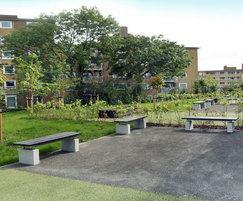 The modern buildings are typical of academy schools and have a very high specification. 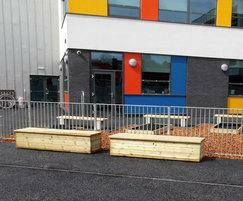 1100 pupils per year use these facilities. 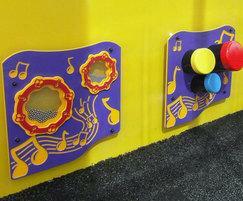 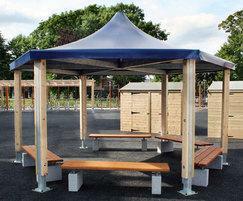 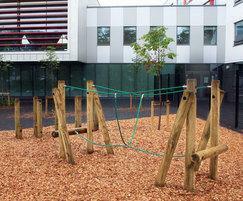 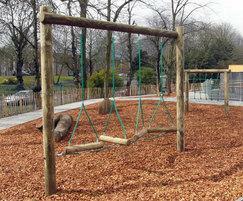 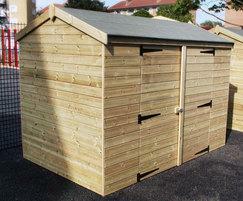 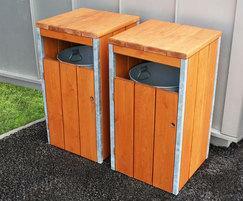 Langley Design provided a range of external furniture items and agility play equipment. 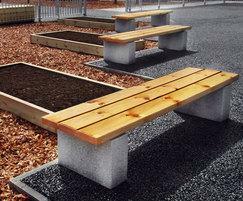 Recycled plastic slats and galvanised frames ensured that the benches, litter containers, table and bench sets were hard wearing and would require minimal maintenance. 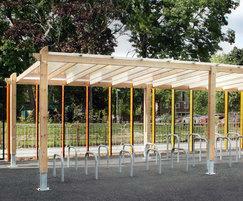 At the front of the building, Malford cycle shelters and racks provide safe and secure cycle storage for pupils and staff. 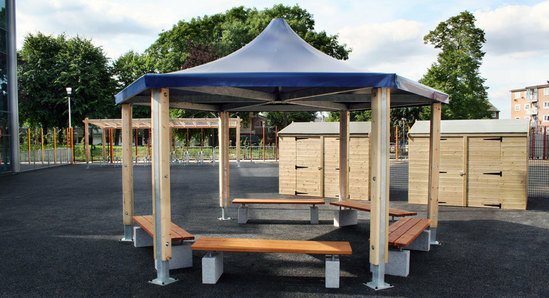 For Fenstanton Primary School, Langley Design supplied cycle shelters and racks, a tensile canopy for outdoor teaching, planters, storage benches, storage sheds, a play house and many items of play equipment and play panels.